Hi friends! Dr. K. Medani of the IIS and PoliSci at McGill is in the news, again! In this piece he offers his opinion on the current developments in the South Sudan. And another interview in Jadaliyya. A (much) belated congratulations to the new Chair of Urdu Language and Culture, Dr. Pasha M. Khan. Dr. Khan began in the Institute of Islamic Studies last year and has quickly risen ranks! Şahbaz, Namık Kemal. 2009. Türkiye’de ilkokuma ve yazma öğretiminin tarihsel gelişimi. Ankara: MEB. Fortna, Benjamin C. 2011. Learning to read in the late Ottoman Empire and the early Turkish republic. Houndmills, Basingstoke, Hampshire: Palgrave Macmillan. A short news piece released yesterday has announced a joint effort between the Yunus Emre Institute and several Balkan libraries in order to digitize various Turkish manuscript collections. For those of you inclined to read about the Turkish manuscript holdings of the Vatican Library, take a look Rossi, Ettore. 1953. Elenco dei manoscritti turchi della Biblioteca vaticana: vaticani, barberiniani, borgiani, rossiani, chigiani. Città del Vaticano: Biblioteca apostolica vaticana (Ref. Z6605 T8 R6 ). For more information on the Vatican’s manuscript collections take a look at St Louis University’s Vatican Film Library subject guide. May 20, 2013 marks the launch of global fund-raiser, T160K: Timbuktu Libraries in Exile. 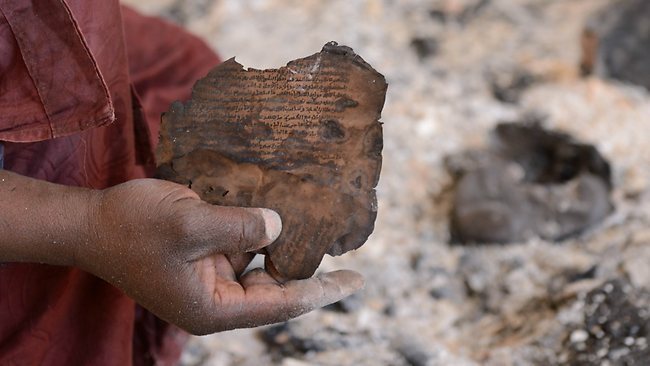 A far cry from the fabled ends of the earth, Timbuktu, a small, northern enclave in the West African nation of Mali, is at the heart of a modern-day quest: to save the city’s many ancient libraries from destruction. Action must be taken immediately to preserve these ancient writings. Last year, after more than seven centuries in generational homes of dedicated safe-keepers, this collection of over 300,000 medieval manuscripts was suddenly caught in the middle of an ideological, territorial war. At great urgency and peril, a team of local stakeholders led by Abdel Kader Haidra and Dr. Stephanie Diakité conspired to rescue their beloved treasure. This group of brave librarians, couriers and local Mali citizens risked everything to smuggle over 1,000 trunks of manuscripts by donkey cart, bicycle, on backs, and in boats, out of the city to new hideaways in other parts of the country. Not one document, not one person was lost during the evacuation. Now that they are safely re-located away from the Sahara, the libraries have new enemies: humidity and tight quarters. This fatal combination could lead to devastation by mold and mildew. Most of these documents are made of rag paper and unstable inks, too fragile, even, to endure scanning digitization. The most immediate need is to re-package them in archival materials, index and re-secure them in their temporary sanctuaries. When it is again safe, they will be returned to their original guardians in Timbuktu. Though the libraries are now secure from certain destruction by combatants in the war in Mali, a massive undertaking is required to prevent these exiled manuscripts from self-destructing. $7 million is needed to procure archival and storage materials and the labor necessary to preserve this priceless cultural heritage. The rainy season is upon us. Every day counts. Mali: What really happened to the manuscripts? Since the start of this week there are reports about the destruction of library buildings and book collections in Timbuktu. It sounds as if the written heritage of the town went up in flames. According to our information this is not the case at all. The custodians of the libraries worked quietly throughout the rebel occupation of Timbuktu to ensure the safety of their materials. A limited number of items have been damaged or stolen, the infrastructure neglected and furnishings in the Ahmad Baba Institute library looted but from all our local sources – all intimately connected with the public and private collections in the town – there was no malicious destruction of any library or collection. One of the first reports on Monday morning out of the town was that a library and books had been set alight. A Sky News journalist, Alex Crawford, embedded with the French forces, reported in the evening from inside the new Ahmad Baba building, which is opposite the Sankore mosque. This building was officially opened in 2009 and is the product of a partnership between South Africa and Mali. It is meant to be a state-of-the-art archival, conservation, and research facility. Images showed empty manuscript enclosures strewn on the floor, some burnt leather pouches, and a small pile of ashes. She reported that over 25,000 mss had been burned or disappeared. Additional images showed her going down to the vault of the archives and looking at empty display cabinets. No signs of fire could be seen. Sources from Bamako in the evening reported that Mohamed Ibrahim Cissé, President of the Chairman of the Board of the Cercle of Timbuktu still confirmed, on France 24, that the new Ahmed Baba Institute building had been burned by the Ansar Dine before fleeing. By Monday night we finally managed to contact our colleague, Dr Mohamed Diagayeté, senior researcher at the Ahmad Baba Institue, now based in Bamako. He heard much the same reports that we heard. However, he added that the majority of the mss. 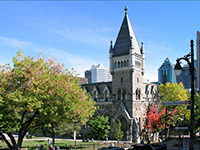 of the Institute was still stored in the old building – opened in 1974 and on the other side of the town, from the new building. He told us that the latest news about the new building, as of eight days before the flight of the Ansar Dine, was that the building had not been destroyed. He said that around 10,000 mss had been stored in the new building since there was no more space for the mss in the old building. They were placed in trunks in the vaults of the new building. Upstairs, where the restoration was taking place and boxes were made there were only a few mss. After seeing Sky News footage, he says that the images were of the few mss upstairs waiting to be worked on by the conservators. Ramallah, occupied Palestinian territories – Rasha Al Barghouti takes a few steps towards one of several large bookcases in her Ramallah home, treading slowly just four months after having hip replacement surgery. She takes out a thick blue book, and opens it to a bookmarked page, allowing her fingertips to trace the words as she reads out loud. The book was written by her grandfather, the late Omar Saleh Al Barghouti, a leading figure of Palestinian resistance who took part in the national movement against the British occupation. During the 1948 war, when Al Barghouti was forced into exile, hundreds of his books, documents, newspapers and intimate memoirs were looted from his Jerusalem home. Rasha later found out that a whole section of the library was dedicated to her grandfather’s books, a revelation that to this day moves her to tears. Al Barghouti’s large collection is part of some 70,000 books that were looted just before and during the Nakba (or “catastrophe”) of 1948, when hundreds of thousands of Palestinians were expelled or forced to flee their homes. About 40,000 of these books were stolen from private homes in mostly affluent Arab neighbourhoods of Jerusalem; others from cities such as Jaffa, Nazareth and Haifa. Many were either recycled into paper (because they “incited” against the nascent Israeli state) or taken to the National Library, where some 6,000 remain with the letters AP – for “abandoned property” – labelled on their spines. The Great Book Robbery, a documentary recently shown in Ramallah, chronicles the large-scale pillage of these priceless pieces of Palestinian culture. Prominent Israeli historian Ilan Pappé, who is featured throughout the documentary, identifies two sets of book robbers during this period: individuals acting alone who took their newly acquired possessions home, and collective or formal looters acting on behalf of the state who took the books to the National Library. Library director Oren Weinberg told Al Jazeera that “the collection of books … is stored in the library for the Custodian for Absentee Property. The Ministry of Finance did not respond to repeated requests for comment before the deadline for publication of this report. Similarly, no ministry spokesperson was made available to interview as part of the documentary. The documentary – which has also aired in Tel Aviv, Haifa and Jerusalem over the past month – was based on the research of an Israeli PhD student named Gish Amit, who stumbled upon documents chronicling the “collection” of these books while carrying out research on his doctoral thesis. The documentary paints a picture of a pre-1948 Palestine that was a hub for intellectuals, literary critics, writers and musicians before entire villages were destroyed, people were exiled or forced to flee, and Palestinian culture was decimated. Once a hub for art and culture aficionados, Palestine had a railway linking Haifa to Damascus and Cairo, and was frequented by acclaimed theatre troupes and poets. Many renowned Palestinian authors and scholars, such as Khalil Al Sakakini and Nasser Eddin Nashashibi, spoke bitterly of the loss of their books, items of irreplaceable historical and religious significance. Others, such as Mohammad Batrwai, tearfully recounted having been forced by the Haganah (the Jewish militia that transformed into the Israeli military after 1948) to loot other Palestinians’ homes and, in one case, his very own. Nothing was spared: musical instruments, newspapers and even carpets. In some cases, books that were looted were sold back to Palestinians at auction. The documentary also has an associated website with a special section that aims to identify the original owners of the looted books, thus restoring pieces of cultural heritage lost. According to the director, Benny Brunner – who served in the Israeli army and fought in the 1973 war, before shedding his Zionist beliefs – this is part of a larger project to carry on the vibrant legacy of Palestinian academia and intellectualism. In a thoughtful summation of the events depicted in the film, Pappé claimed the pillage took place to “defeat the Palestinian narrative”, and to “erase Palestinians out of history”. Amit stated a similar theory. He believed the looting took place in part because of a colonialist mindset possessed by Israelis in which Palestinians were incapable of appreciating or safeguarding their own cultural heritage. “As Westerners who came from Europe, professors at Hebrew University felt they understood and appreciated these assets better than the Palestinians themselves,” he said. Further, Amit added that some believed they were rescuing these assets from destruction. “No doubt there was an act of looting and confiscation, but on the other hand some did believe that they had to take care of these books, because otherwise they would be lost,” he said. Uri Palit, a former librarian, echoed a similar sentiment in the documentary. “These books were not looted but collected. The owners were absent,” Palit said. For years, many Palestinians such as Rasha searched far and wide for the beloved books of their relatives. Today, she only has a handful of books belonging to her grandfather, who later returned to live in Ramallah. A renowned lawyer and author, who at one point served as a minister in Jordan, Omar Saleh Al Barghouthi wrote personal memoirs every day until his death in 1965. Turkey’s Culture and Tourism Ministry is shedding new light on the late Ottoman Empire and early Turkish Republic like never before by releasing restored films and images of national leaders that have never been published before. “We are looking to collect all these images because we have seen that this is very important … for Turkey [as it will give a chance for us to] see our history,” Culture Ministry Cinema Director General Cem Erkul recently told Anatolia news agency about the ongoing restoration work. Noting that the videos and images constituted the visual memory of Turkey and that they shed light on both political and cultural history, Erkul said the materials would be digitally catalogued and restored using cutting-edge technology and in such a way that they would be both protected for archival purposes and be open for research. The never-before-seen images include Ottoman Sultan Reşat welcoming the Austro-Hungarian emperor during a visit to Istanbul by the latter, Sultan Vahdeddin attending Sultan Abdülhamid II’s funeral, modern Turkey’s founder, Mustafa Kemal Atatürk, addressing the Turkish Parliament in 1936, Atatürk welcoming Iranian Shah Reza Pahlavi and Adnan Menderes, Turkey’s first democratically elected prime minister, visiting Athens’ Acropolis with a delegation in the 1950s. The image of Menderes, who was executed by military authorities in 1961 following a coup the previous year, was cleaned only after great difficulty, according to officials. The images and the films are kept in large books that protect them from light, heat and moisture, the ministry official said, adding that the entrance and exit to the facility housing the material was stringently controlled to ensure that no damage befalls the videos and pictures. There are currently around 10,000 videos and images being kept in the archive, Erkul said, but added that new images and films would soon be added to the inventory. Erkul said the archive acted as a repository for the nation’s collective memory as it had documented momentous events, such as the difficult 1980 military coup, while adding that the facility also contained motion pictures from other ministries. The official also said authorities would work to ensure synchronization on the images in addition to the restoration, while adding that they images could only be played on special devices. Ultimately, Erkul said his directorate would attempt to restore and archive as much material as possible, adding that there were many professionals to analyze the archive. “The nitrate-based images cannot be refined as they should be. These are black and white, and they are very valuable for us to learn our history,” Erkul said. The digital archive will be available for use at any time, he said.Apart from the films and documentaries, the ministry will also begin to archive documentary films that were seized and shelved in some government agencies after the 1980 coup, Erkul said..